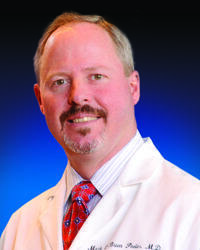 Dr Peeler is a second-generation Annapolis physician who has practiced vascular surgery in Annapolis since 2000. He has extensive training and experience in open and endovascular techniques for treating most peripheral vascular pathologies. His primary focus is the treatment of peripheral arterial occlusive and aneurismal disease. Dr. Peeler treats each patient with an individualized approach that leads to the greatest benefit, least risk, and most durable outcome to relieve the patient’s problem.